Grandmaster Wong Jack Man came over from China to advance the skills from the Jing Wu school’s. He was appointed to spread the Jing Wu or Ching Mo theory to the United States. He was the first to give this position to come and teach here in the States. Grandmaster Wong teaches advanced instruction in the arts of Tai Chi Chuan, Hsing-I Chuan, and Northern Shaolin. He has taught many well-known martial artists. All of his students have the highest regard for his abilities. Grandmaster Wong is a true martial arts master, and his skill is legendary. He has dedicated his life to the teaching of Chinese martial arts and has taught all people regardless of their race, creed, or color. Shifu Wong Jack Man was the teacher that received the fame for fighting with Bruce Lee. This fight was a close door event that changed and keeps the traditional ways of martial arts code. This fight went down in history for such a great fighter Shifu Wong Jack Man was. The Chinese community gave total respect to Shifu Wong. Many of his students have martial arts schools of their own. They are highly regarded as good teachers of Shaolin. Some of them have gotten to be very famous from the skills of Shifu Wong Jack Man. He encompass the whole arts of internal and external martial arts. Grandmaster Wong himself teaches a great variety of forms, which cover a wide spectrum in the Chinese martial arts, such as the Northern Shaolin system from Hunan China. Yang Style Tai Chi Two Man Sparring Set, Pushing Hands, Two Man Tan Tui, Hsing-I Eagle Bear Sparring Set, various weapons. 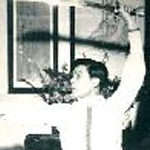 Grandmaster Wong Jack Man retired but turned over his school and Association the Ching Mo to Master Rick Wing who is now the successor to him. Master Rick Wing comes down to conduct workshops at the Shaolin Temple and enhance Shifu Marquez’s skills. Besides learning from Master Rick Wing Shifu Marquez has been learning from Master Liang Kam Yuen for 37 Years who learned from GM Wong in the 60’s and Master Marquez has been teaching the Bak Sil Lum in the Southbay under Grandmaster Wong Jack Man lineage for 31 years and is the senior in this area for Northern Shaolin here. 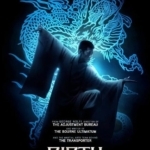 The movie Birth of the Dragon came out on Aug. 25th 2017 this is about the fight that he had with Bruce Lee.